Volume 42, Issue 2 is Now Available! Volume 42, Issue 1 Now Available! Corey Ranford-Robinson – Cosmopolitanism and Liberal Universalism in International Relations Theory: Moralising Politics or Politicising Ethics? 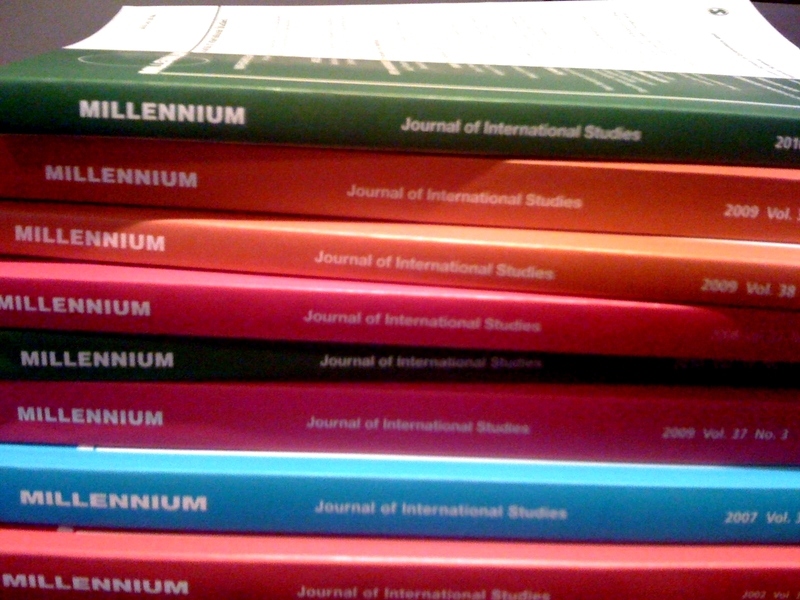 Following the success of the 2010 Millennium Conference this past weekend, we are happy to announce a range of articles taken from previous (and forthcoming) issues which have been made freely available by Sage. Do check them out. We are particularly glad to be making Alex Colás and George Lawson’s tribute article to the late Fred Halliday available to all. In addition, the entirety of Millennium 37, no. 1, August 2008 is still available for free, featuring articles by Martin Müller, David Chandler, Elizabeth Dauphinee, Richard Beardsworth, Michael J. Shapiro and a forum on feminism in IR with Kimberly Hutchings, Terrell Carver, Raluca Soreanu and David Hudson, Marysia Zalewski, Ann Tickner, Christine Sylvester, Margot Light, Vivienne Jabri and Fred Halliday!